Netgear has released its latest Orbi tri-band home mesh WiFi system. With built-in cable modem, the system works with all cable internet service providers. 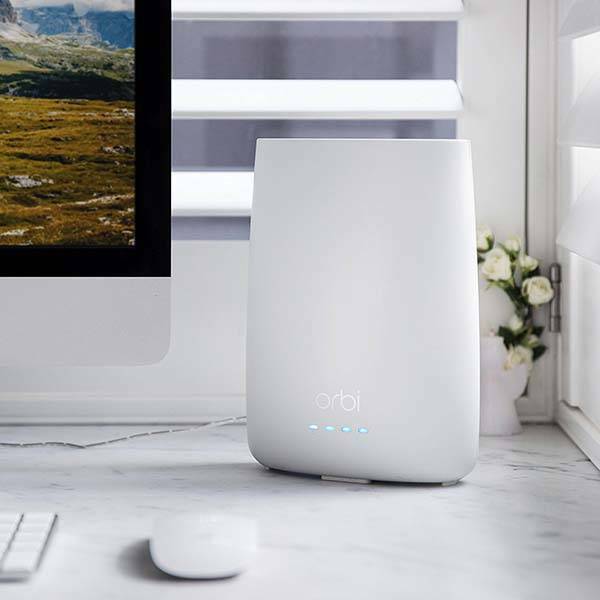 The Orbi is a powerful tri-band home mesh WiFi system. The mesh cable modem router measures 6.7 x 3.1 x 8.9 inches, and the satellite measures 5.6 x 2.4 x 6.6 inches. As we can see from the images, each Orbi unit sports a minimal and elegant appearance design to blend well with various interior styles. Meanwhile, the compact profile allows you to easily deploy them anywhere in your house. The home mesh WiFi system features a DOCSIS 3.0 CableLabs-certified cable modem with 32×8 channel bonding, and it simultaneously supports 32 downstream bonded channels for improved performance and download speeds up to 1.4Gbps. Furthermore, the WiFi router delivers high-performance WiFi up to 2.2Gbps, and using MU-MIMO and a powerful quad-core processor, the WiFi system ensures better 4K HD video streaming, VR gaming and more. Moreover, the mesh WiFi system delivers up to 4,000 square feet of wireless coverage and using addition Orbi satellites, it can be expanded. Its smart connect technology intelligently choose the best WiFi band for your devices, while Beamforming+ technology improves speed and range for both 2.4GHz and 5GHz devices. 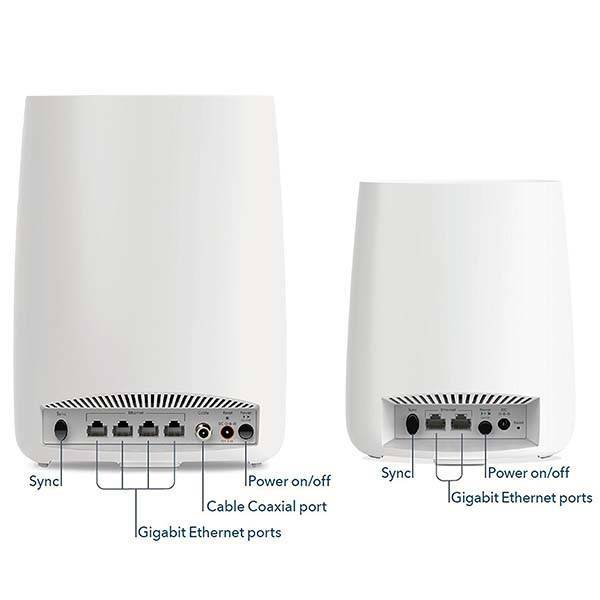 Each Orbi unit comes equipped with Gigabit Ethernet ports. Using its custom app, you can easily set, manage and check your home network, and it supports Amazon Alexa and Google Assistant, while smart parental controls allow you to filter content by age and interests, manage screen time and more. 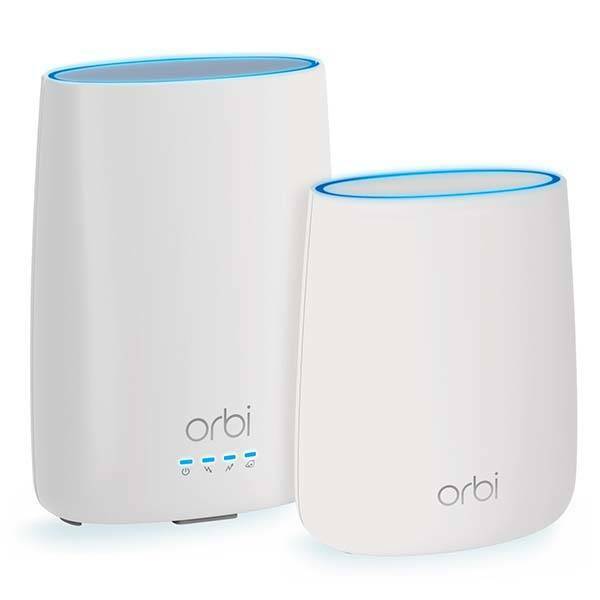 Netgear Orbi tri-band home mesh WiFi system with built-in cable modem is priced at $399.99 USD. If you’re interested, jump to here for its more details.